Studies have shown that people with disability often surpass their counterparts without disability in terms of loyalty and productivity in the workplace. Research cited by the Australian Network on Disability indicates that 90% of employees with disability record productivity rates equal or greater than other workers and 86% have average or superior attendance records. there were no significant differences when comparing people with disability to people without disability in the areas of performance, productivity and sales. The previously mentioned Telstra study found that employees with a disability stayed with the company for an average of 4.1 years, compared to 3.2 years for employees without disability. 78% of employers described the match between their employee with disability and the job as good. How does a diverse workforce benefit my company’s image? Being seen as an employer of choice impacts not only on improving access to talent, but on customer views of an organisation, something that is particularly important in an ageing market. Research* indicates that when employers have a diversity complaint that goes public, their share price will drop within 24 hours, while when employers win a diversity award their share price will increase within 10 days. Source: ‘Employer benefits and costs of employing a person with a disability’, Graffam et al, 2002. Will having a diverse workforce cost more? “Over 70% of employers reported financial benefits of employing a person with a disability” Employees with a disability can be a facilitator for positive change and a catalyst for organisational performance and development. Is there any financial assistance available, to assist with on the job training of an employee with a disability? Employers can negotiate a wage subsidy with Disability Employment Services (DES) providers when employment is offered for job seekers under normal employee and employer arrangements, including the use of a relevant industrial agreement, an award, or other mechanism recognised by the Australian Government. The employer must agree that the employment arrangement will continue for the period required by the relevant wage subsidy criteria. Not all jobs attract a wage subsidy. It is up to the individual service provider to determine when a wage subsidy is required and the level of the wage subsidy depending on the job seeker’s and employer’s needs. What if the person with a disability needs special equipment to do their job? The Employee Assistance Fund (EAF) gives financial help to eligible people with disability and mental health condition and employers to buy work related modifications and services. The EAF is available to people with disability who are about to start a job or who are currently working, as well as people who need help to find and prepare for a job. It is also available to people with disability who are self-employed, and jobseekers who need Auslan assistance, or special work equipment to look for and prepare for a job. How does Interact Australia work with businesses? Provide advice on workplace modifications to support your new employee in the work environment. On the job support for your new employer, and their team. Discuss best practice for induction programs, buddying, mentoring, flexible work environments and training for all employees. 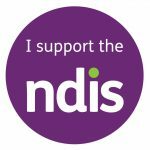 I have an employee with a disability who needs some support in the workplace, can Interact Australia help?